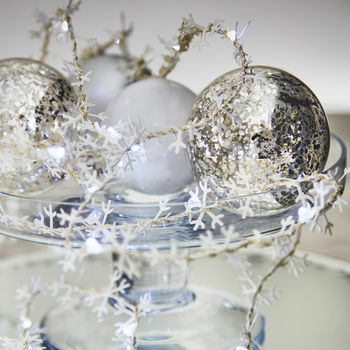 Dazzle your guests with this set of dainty snowflake fairy lights, perfect for weddings, dinner parties and Christmas. These hand spun string of fairy lights are a truly unique way to decorate. 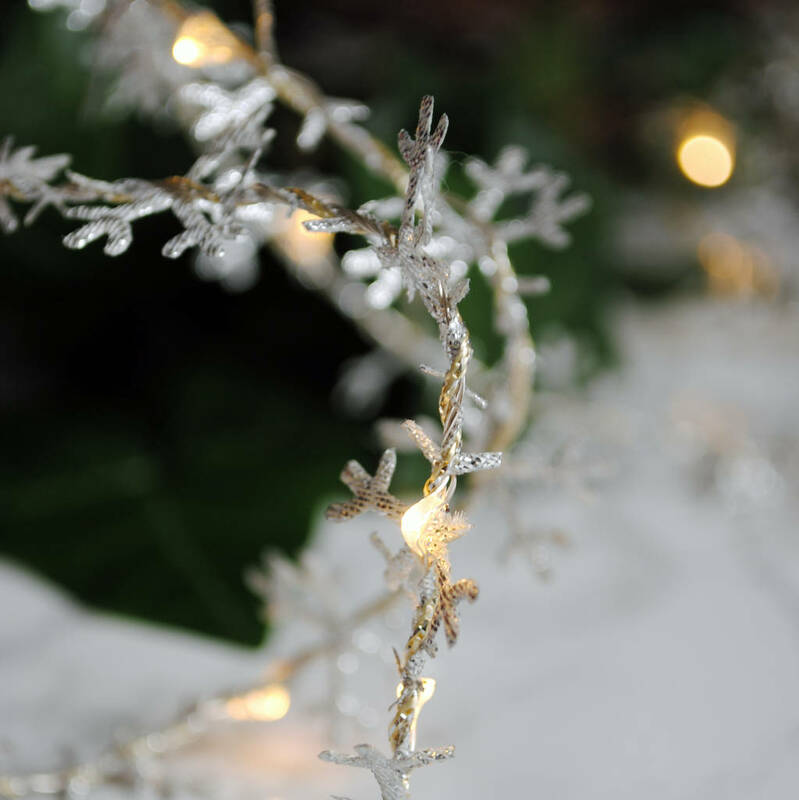 Ideal for christmas decorations, winter wedding lights and around the home. 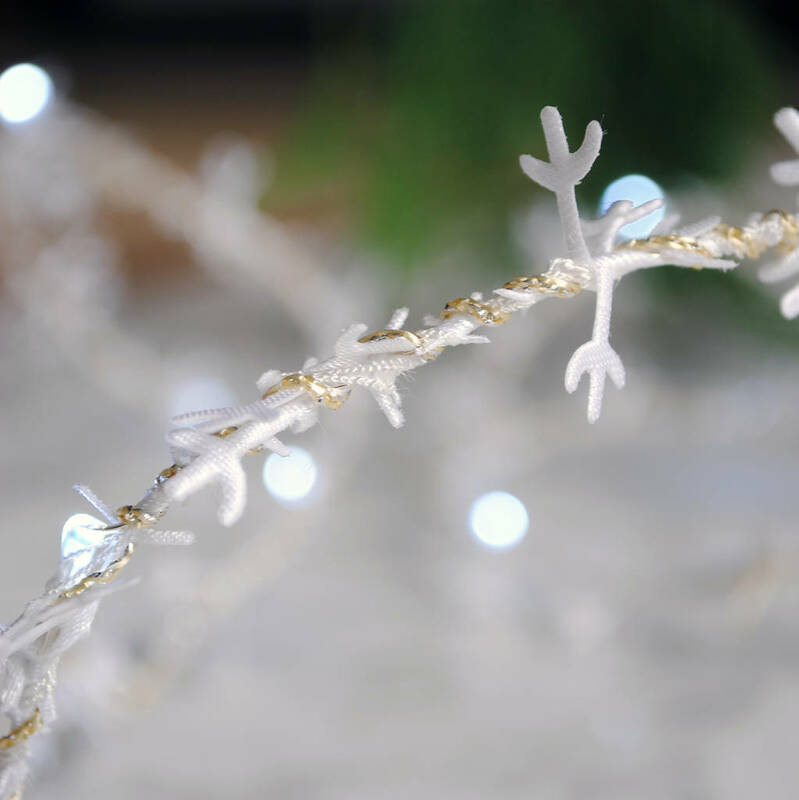 Every string consists of 20 cool white micro LED lights, snowflake trim and a silver thread.. Battery powered so you are not limited to being near a power source, so perfect for a table centrepiece, over an mantle or around a picture frame. 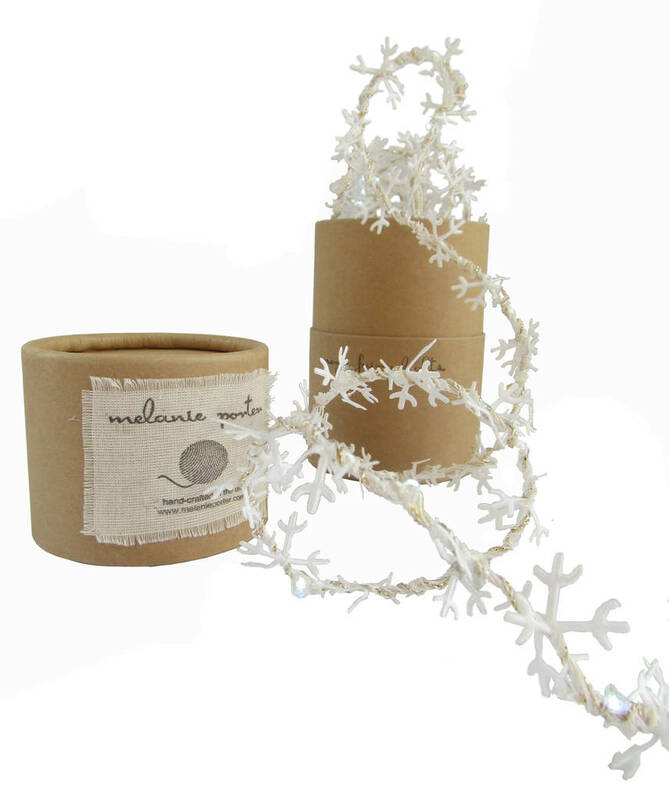 Our snowflake fairy lights come in white or silver. 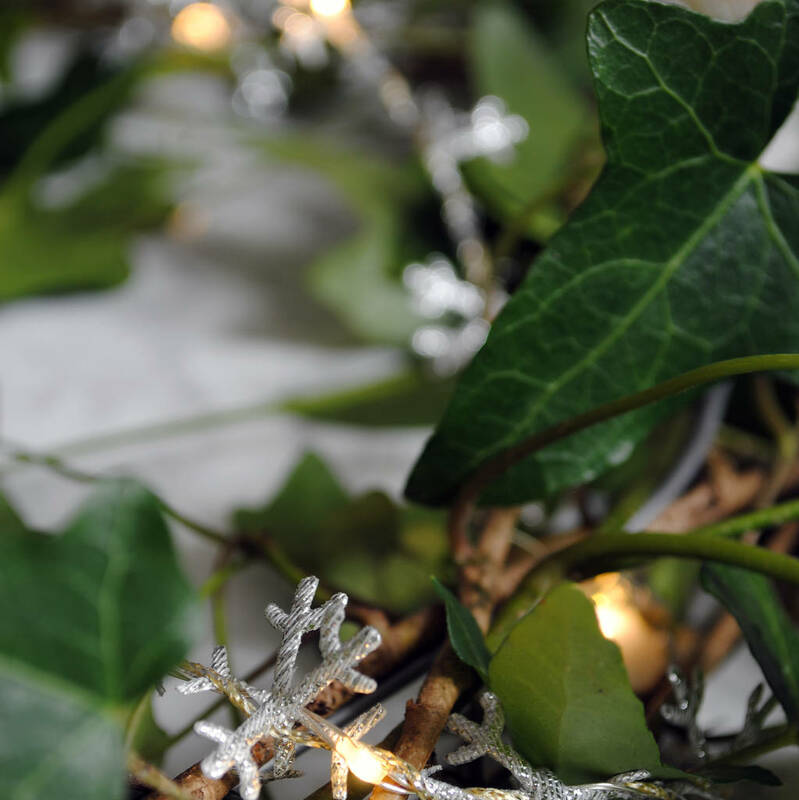 We also offer green, gold, autumn and holly leaf lights strings. LED lights with battery pack, white trim and metallic thread.